Tammy Hawkins has spent her entire life with an intent focus on her family, friends, and her community. Whether it is through her devotion to family sporting events, her work with the developmentally disabled or to just lend a helping hand, Tammy is always there. As we are blessed to have her, she is also blessed to have the support of a large family close to her home in Wheatfield. Through her active lifestyle, which revolved around her love of sports and the outdoors, Tammy began experiencing difficulty breathing. In 2006 she was diagnosed with pulmonary fibrosis, a disorder that damages and scars lung tissue. As the disease progressed and further testing and evaluation was completed, in 2010 it was determined that systemic scleroderma, a rare disease affecting connective tissues, was the root cause of her difficulties. The only treatment for this life-threatening condition is a lung transplant. Tammy is being treated for her condition at Methodist Hospital in Indianapolis and is on the active transplant waiting list. 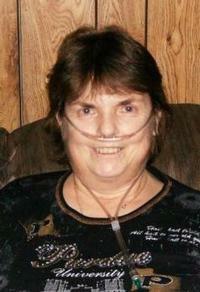 She is currently dependent on the use of a concentrated oxygen supply 24 hrs/day. Though it is a difficult and uncertain time, Tammy remains extremely positive, upbeat and ever supportive. Even with insurance, Tammy will have many uninsured, transplant –related expenses such as: co-pays and deductibles, doctor visits, and the costly immunosuppressant medications that she will need to take for the rest of her life. This presents a financial burden that the family cannot meet alone. At times like this, the help and prayers of friends, family, and community is greatly needed and appreciated. Tammy---I trust today's fundraiser will be successful. As always, my husband Barry and I wish you the best and hope for "the call" very, very soon. Enjoy your evening! Tammy, I am so sorry I will not be able to attend your fund raiser. Please accept my donation on behalf of my presence. I wish I could be there. Know that you are in my thoughts and prayers and I am also anxiously awaiting that call to hear you have your new lungs!! God bless and enjoy your dinner!! We love you Aunt Tambo. Our Prayers are with you Tammy. All the best for you Tammy. Mt thoughts are with you always. Tammy love and miss you. You are in my prayers.